View all current homes for sale in Ensenada, Aventura, Florida. Click on a listing to the view property details, photos and maps. If you would like to change or expand your search criteria, go back to the Aventura search page, or try using our Advanced Search. Handy Man Special in the heart of Aventura. MLS #A10533084 Listing courtesy of Aventura Real Estate, Inc. VERY NICE TWO BEDROOMS APT, RENOVATED, BEAUTIFUL KITCHEN, BALCONY WITH BEAUTIFUL VIEWS OF GOLF COURSE AND LAKE AND YOU SEE THE OCEAN AS WELL. MLS #A10604429 Listing courtesy of Grand Realty of America, Corp. Located on the Desirable and Famous Tree Lined Aventura Circle. Enjoy the View from Your Wrap Around Balcony on One of the Highest Floors in Ensenada. 1/1 UPGRADED! !The open kitchen SS appliances, fresh white cabinets, seamless marble counter-tops and backsplash. Porcelain floors throughout. GREAT, REMODELED 1/1 IN THE HEART OF AVENTURA. 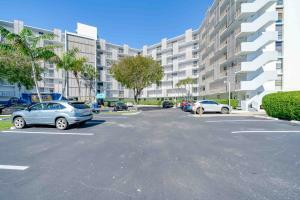 CLOSE TO THE BEACHES, AVENTURA MALL, GULFSTREAM MALL AND CASINO, WATERWAYS MALL. GREAT 1B/1.5B UNIT LOCATED IN THE MOST DESIRABLE PLACE IN AVENTURA. ALL FURNITURE IS INCLUDED IN THE PRICE. FREE SERVICE BUS TO GO SHOPPING. MUST SEE.